So much has been said about Manos The Hands Of Fate that I’m not sure how to approach this. It went down in movie history as the worst movie ever made and if it wasn’t for Mystery Science Theater 3000 this abomination would have probably remained in eternal obscurity. I’ve been hunting for bad movies since I have memory and I can’t really tell why – I think there is a kind of morbid fascination when you see a bad piece of film. Sometimes it’s utter disbelief, such as wondering how on Earth something like that could happen, and you watch trying to understand. There are other times when pure comedic value outweighs all the pain and despair – I’d say “popular” bad films such as Plan 9 From Outer Space fall into this category. But there are special cases when movies can transcend being bad and enter a whole new dimension of indescribable mess. They are “movies” in the loosest sense of the word and they have to be discussed in different terms. And this last category, my friends, can be very, very scary. In searching for that Holy Grail of bad movies I’ve stumbled upon the lowliest and most disgusting examples of filmmaking you can imagine. Stuff like Zombie Lake, Laserblast or, say, Octaman belong into my first category: they are movies that at least had a purpose, a faint sense of direction, yet they utterly failed. You try to understand but can’t find any answers. The second bunch is perhaps more subjective and they are incredibly messy movies, without ANY purpose whatsoever, but they spare us with their unintentional comedy: Space Mutiny, Future-Kill and maybe Nukie are good examples. The dreaded last category can be dangerous though. These movies have no purpose and they’re the exact opposite of funny. Take Red Zone Cuba for instance which feels like a disjointed collage of absolute nonsense and introduced us to some of the most obnoxious characters ever depicted on screen. It’s downright painful to endure. Or The Skydivers (bless your heart, Coleman Francis). Or Night Of Horror. If you have seen them you’ll understand what I mean, and if you haven’t, believe me when I tell you that stuff like this can drive you insane. Watch them alone in one go, with no external distractions, and I promise you’ll be scared. About 10% of the movie amounts to this. Manos of course belongs to this last category. The best way to describe the film would be to say it was an accident. 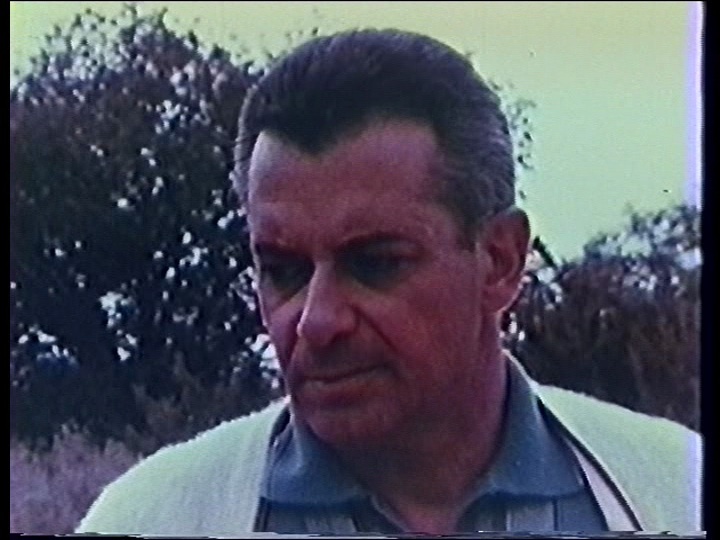 It should have never happened in the first place and, truly enough, it almost didn’t: this attempt at a movie was scripted and filmed in 1966 by a fertilizer salesman in Texas (Hal Warren or Harold P. Warren depending on whatever he was credited) on a bet, or so says the legend. Mr. Warren was deadly serious about fulfilling his project and he did, against all odds. That’s about the only positive thing you can say about Manos and boy those were some nasty odds: no sound at all could be captured by the equipment and voices had to be dubbed by two or three people later in the “studio”, lighting was limited and yet Warren insisted on filming night sequences actually at nighttime (not even the most daring directors would attempt that feast at the time), the video had to be recorded in clips of thirty-seconds because he could only afford renting one crappy handheld camera, most of the cast wasn’t paid… need I say more? And yet, Manos was completed and actually screened on theaters a few times. This was nearly a miracle, folks. To speak about the plot would be futile since hardly anything makes sense but here goes. 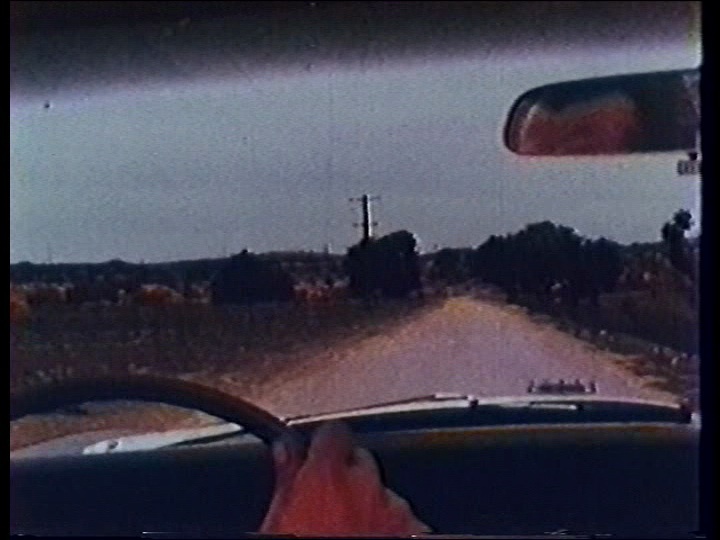 A couple (Mike and Margaret) with their annoying daughter and their annoying dog are driving somewhere on a road trip when they stumble into this forsaken little house tended by caretaker named Torgo. They decide to stay, disregarding Torgo’s repeated warnings that his “Master wouldn’t approve”, because it will be dark soon… and everybody says all this about five times just to make sure we get the idea. Once inside they find a disturbing painting of the Master with his nasty-looking doberman. 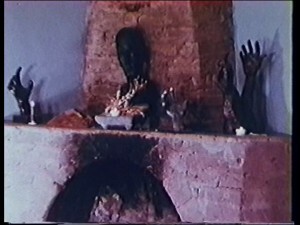 Then their puppy will go missing, their daughter will go missing after the puppy, Torgo will attempt to sexually abuse of Margaret by touching her hair and it turns out the Master is the leader of a cult that worships hands. Yes, hands. Also, someplace else, a young couple is making out in their car while they’re constantly harassed by the police. Somehow, you empathize more with these kids than with the other family. All in all, the movie could have been told without any compromises in under twenty minutes but it lasts over three times that. Just remember that nearly ten minutes during the introduction are exclusively dedicated to footage of driving through El Paso, Texas. The single best frame in the entire movie. 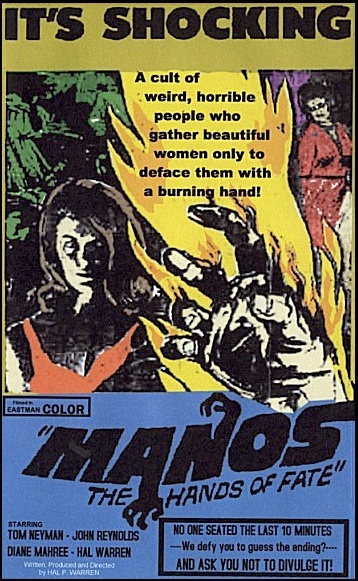 Manos redefined bad, and yet, you could say it had its distinct elements: let’s take Torgo for instance which is hands down the most bizarre and dumbfounding character ever in a movie. Played by John Reynolds, he’s one of the greatest cult performances with his incoherent mumbling, epileptic walk and oversized knees. We are supposed to think he’s a satyr but he looks like a maniac hobo from Hell. The Master who looks like the evil brother of Freddy Mercury with a fancy cape is another… curious (and I had a hard time finding that word) feature. 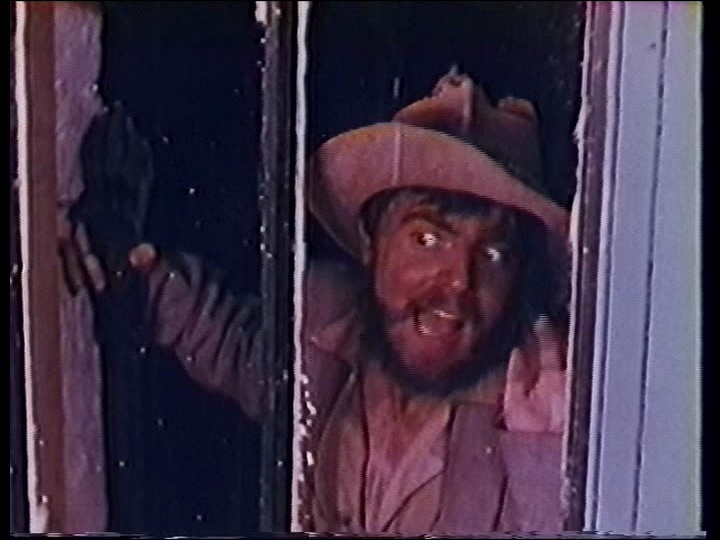 We also have Mike, played by no other than Hal Warren (who killed the term “auteur”), as the unlikable husband who mistreats his wife and Torgo barely one minute after meeting him… There are quite a few things that are unique to Manos alright but not a single one redeems the movie. It’s just plain bad, in the most complete and profound sense of the word. Awful shots, disjointed and repetitive dialogue, stupid characters staring blankly for endless seconds, ridiculous music, meaningless scenes, weird and completely illogical behavior, sheer incompetence and I’m going to stop now because I’m getting all riled up. Needless to say, you couldn’t film something this bad on purpose. Roughly another 3% of the movie amounts to this. As I began saying, some movies are just too outrageously wrong and defy any potential explanation. There’s no way actual human beings had the courage to finish this film but they did. There’s no way this pice of celluloid could make it to cinemas but it did. Manos remains the worst movie ever not only because of its inherent badness but also the circumstances of how it was made. It’s almost unreal and legendary in its nature. And that’s the dilemma of talking about the worst movie ever: if you’re the best at something, even being bad, would you still be the worst? Even Hal Warren himself was allegedly quoted saying that he was proud of having made the worst movie ever. It boggles the mind, kind of like Heisenberg’s uncertainty principle applied to movies: we won’t appreciate today just how bad Manos can be because it has been idolized everywhere but before the MST3K craze it must have been an astounding find. 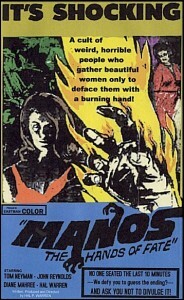 I’m sure there must be other unseen bad movies like this but I doubt there’s any with the lore behind Manos. If you happen to know of such film, I will hear about it with open arms because I have made a goal of my life to find a movie that surpasses this one in badness and ineptitude. 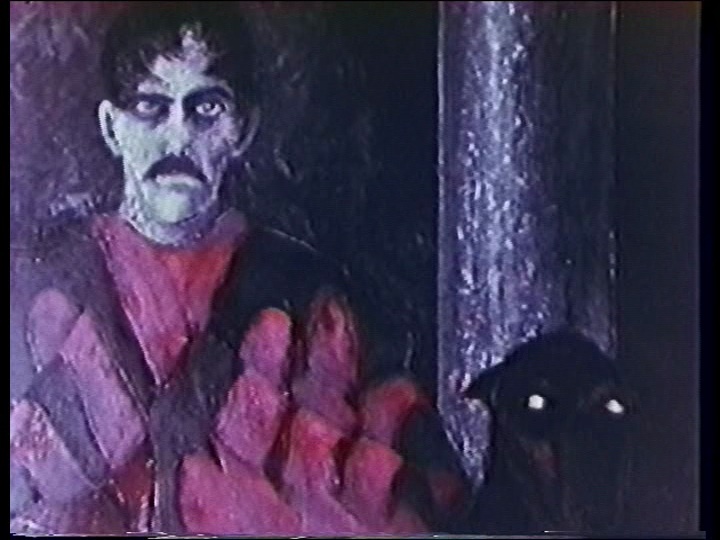 But, until further notice, I confirm that Manos The Hands Of Fate is the worst movie ever made. Torgo in his very best scene. Manos The Hands Of Fate is in public domain and can be downloaded from Internet Archive. After this glowing review, how could I resist (“Masterful filmmaking” also peeked my interest, not to mention invoking uncontrollable laughter). I watched it on the edge of my seat. Certain scenes multiple times. It is horrifying bad but here it comes, the story around it why it was made. The stories about the actors how it did go on the set it is such a joy. So we have a movie truly horrific with a backstory so filled with human thought and actions, with insanity and crazy ideas. It is a goldmine this is a movie worth supporting. This movie should be shown to moviemaking/scriptwriter students for how well.. how can you say! I am laughing..oh god. I remember parts of this movie it is.. unbelievable. I like the story around it all the stuff around it is so good. I don’t know what deal Hall made but there are huge rips in the fabric of good and bad… praise Hall Warren! Thanks for sharing this. I am desperately wating to see it. The main reason I’m writing this is the most terrible movie I have seen until now. I am hunting it for years. It is translated as “The Last Horror Movie” at Croatian, and it actually played in theatre. By some mistake for sure. It is US production, if we can call it production at all. The movie last in theatre only for few days (as I said it was mistake or some strange joke that it came to real large screen). Year could be 1980-1987. The main character is some annoying fat actor with moustages and glasses. Storyplay (if there’s any) is about horror movie about making horror movie about making horror movie.. or something like that. And then it becomes documentary of it, or… terrible anyway. Unforgiving game based on a cult movie of legend? Now You’re talking! While we’re on the subject, I hope a certain Asylum won’t shy away from being unforgiving at times as well, because really, the overwhelmingly forgiving nature of recent adventures is getting on my tentacular nerves lately. Great. Now I feel an unrelenting urge for re-watching Manos. Lunacy, here I come!